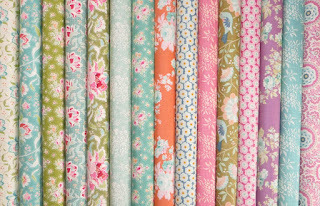 Bargain fabrics - Tilda Circus and Harvest prints for just £8 per metre! 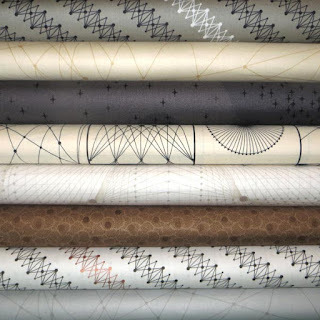 Do you like Tilda Fabrics? Do you like a bargain? If so, head on over to our bargain fabric page where we have fabrics from the Tilda Harvest and Circus ranges for the rock bottom price of just £8/m - stocks are limited, so get in there quick! New quilt panels from Hoffman's Dream Big range and Timeless Treasures' Faith! We have a variety of new quilt panels in stock, perfect as wallhangings or as the centrepiece for a larger quilt! 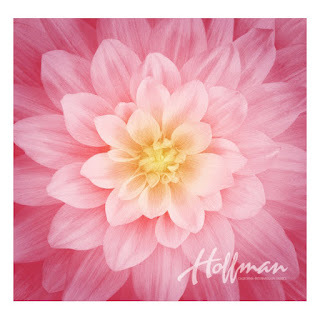 First, we have the popular Dream Big large flower quilt panels - these stunning digitally printed quilt panels from Hoffman Fabrics are like nothing else on the market! Designed by Jeanie Sumrall-Ajero, these large flower design quilt panels are available in a range of colours, and would be perfect to show off your quilting skills, lending themselves beautifully to free motion or doodle quilting. The other panels now available is the Faith Lord's Prayer quilt panel from Timeless Treasures. 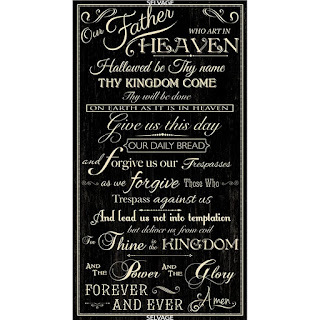 Ideal for Christian and religious themed wallhangings and quilts, this quilt panel depicts the Lord's Prayer in cream script on a black background - tasteful and attractive, and we have a matching cream fabric ideal for backing or borders for the panel. 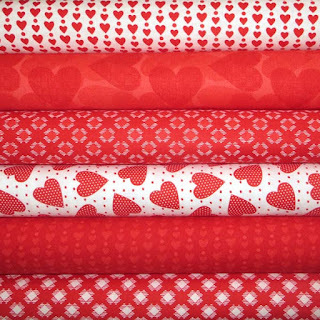 Moda Red-iculously In Love collection now in stock! 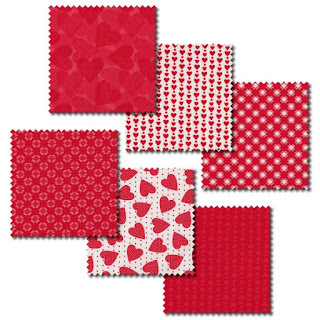 Just in time for Valentine's day, we have the Red-iculously In Love quilt fabric range by Me and My Sister Designs for Moda fabric - filled with hearts and kisses in bright red and contrasting white, this is a fun filled collection perfect to express your love for that special someone! All six fabrics are available in a stash pack or discounted fat quarter pack, perfect for a small quilt or bag! New basics range - Makower Trinkets 2020 full range! 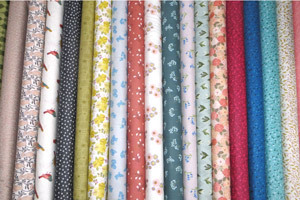 The first new range of 2019 has now arrived - the Trinkets 2020 patchwork fabrics! Designed by Kathy Hall for Andover fabrics at Makower, this is a beautiful range of ditsy and tonal prints in a rainbow of colours, and at just £10 a metre they won't break the bank! New packaging policies - improving our eco credentials! Our new year's resolution this year is to replace as much of our plastic packaging as possible with eco-friendly alternatives. The first batch have arrived, new clear bags for fabric packs - they look like plastic but are made from potato/corn starch so are fully biodegradable and compostable! As the year goes on we will be using up all our current supplies, every time something runs out we will be replacing with recyclable and biodegradable products, hoping to be plastic free by this time next year! 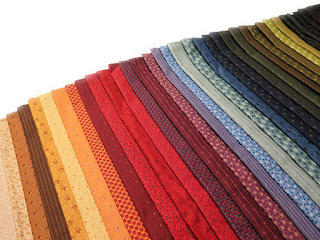 Makower Quantum & Lewis and Irene clearance from just £5 per metre! 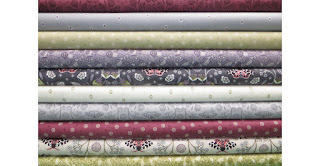 Brand new in is Quantum, by Guicy Guice for Andover Fabrics at Makower. Featuring a range of geometric prints in a palette of warm browns and greys, this collection is perfect for any quilt where flowers and frills are definitely not desired! In other news, we have managed to get hold of a big range of discontinued fabrics from Lewis & Irene - all great quality prints from their most popular ranges over the past 2 years, you can grab a bargain today as they're priced from just £5 per metre! We have something for everyone with our new ranges - the perfect grown up fabrics for winter with Lewis & Irene's Winter Garden, and two small new collections of fun fabrics for kids with Moda's Once Upon A Time and Makower's Dragonheart! Winter Garden, featuring seed heads, moths and tiny flowers and a palette of soft greys and greens with pops of claret and purple is inspired by a Winter walk in the countryside - this is the perfect range for making sophisticated quilts. Heroic knights and fire breathing dragons combine with decorative scatters in the Dragonheart quilt fabric range, ideal for young adventurers! Once Upon a Time by Stacey Iest Hsu for Moda is a collection that celebrates all things fairytale! 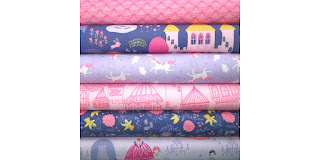 Whimsical illustrations of castles, unicorns, gardens and most importantly princesses are what you will find in this range, and beautiful shades of pink and lavender make this collection the absolute sweetest.